Sacred Harp singers are among the most enthusiastic and energetic vocalists anywhere! 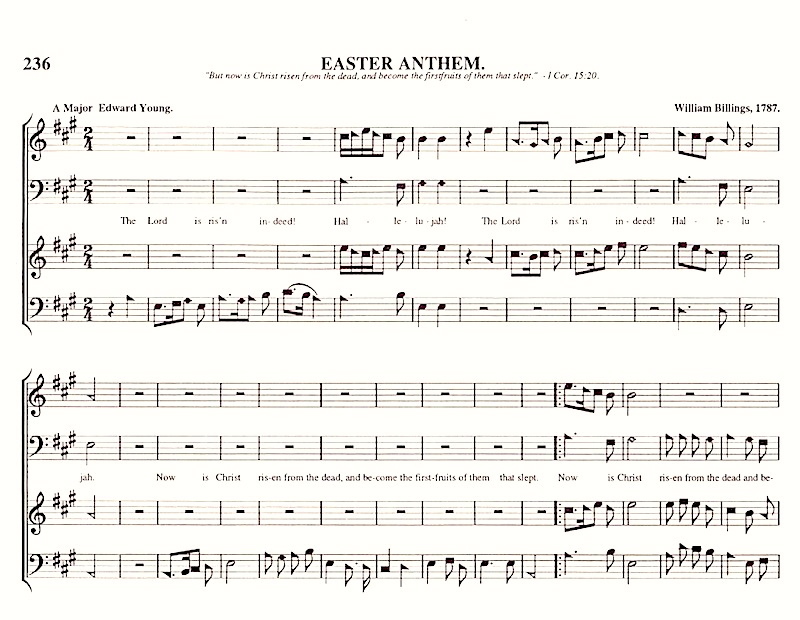 Here they express their joy in singing a favorite shape note song for the Eastern season: William Billings’s 1787 composition [Easter Anthem] also known as ‘The Lord is Risen Indeed.’ Recorded at the Kalamazoo all-day singing, July 20, 2009. 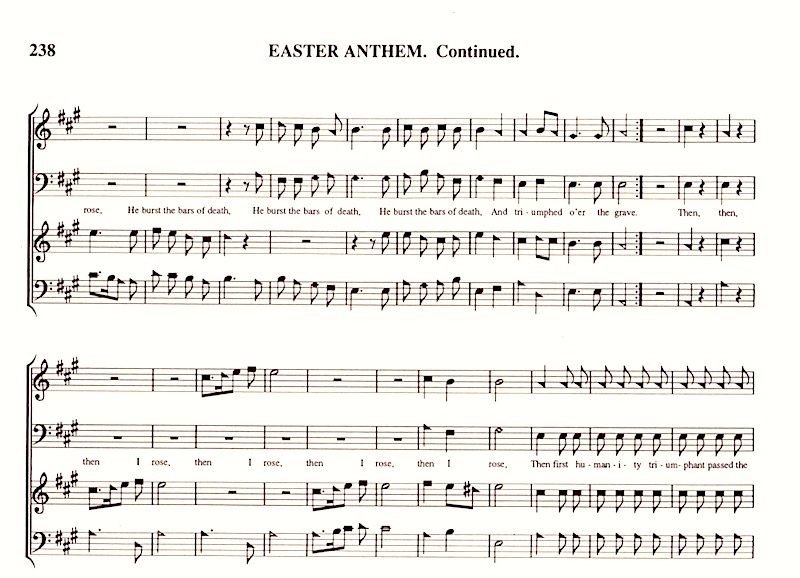 NOTE: on the video, the number for Eastern Anthem is mistakenly given as 238. 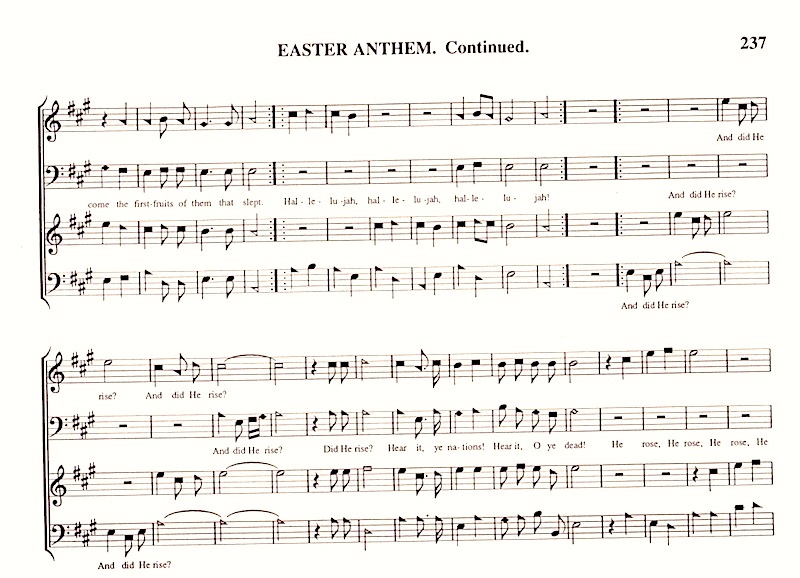 If you start to sing from that page, you will still be singing Eastern Anthem, but you will be two pages ahead of everyone else 😉 The correct page, of course, is 236, as several viewers have reminded me! This entry was posted on April 20, 2014 at 4:28 pm and is filed under Music. You can follow any responses to this entry through the RSS 2.0 feed. You can leave a response, or trackback from your own site. 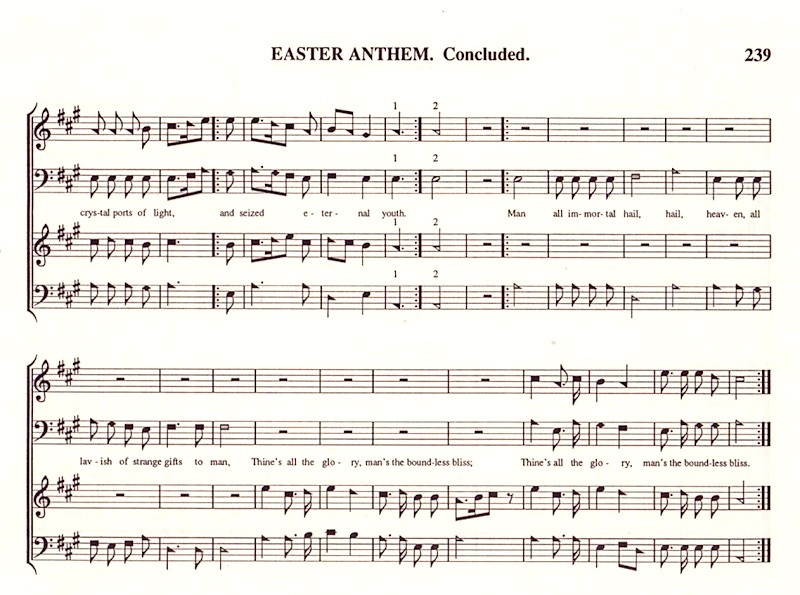 Skipping the shapes is not at all uncommon for some complex songs, including Easter Anthem and Rose of Sharon.